“Chaos as a ladder” works well in Game of Thrones but businesses need goals and a clear roadmap to achieve those goals. This is where a TODO list or an Action Items comes into the picture. A TODO list helps to achieve the company’s vision in the long run by helping employees achieve their day to day goals. When Action Items are formulated they must include assignee and due date for best results. An action item must contain enough information to spur you into action rather than just helping you remember what needs to be done. Let’s take an example of a quarterly sales report, if you name the Action Item as Sales Report and go back to your to-do list 2 weeks later you might not remember what you were supposed to do with the report. Was it to review it? Edit it? Start it? Get someone to work on it or help you with it? Hence, the first step must always be to capture your Action Items clearly and precisely so that everyone involved knows exactly what needs to be done and what the definition of done is. We must never forget that Action Items are often shorthand codes for ourselves and are meant to jog our memory. The Action Item or the to-do list need not be for today, it could be for an activity a week from now and as discussed in the previous step we might forget what the shorthand code meant. So to make life easier for the future you, the to-do list or the action item must be clear with precise instructions. 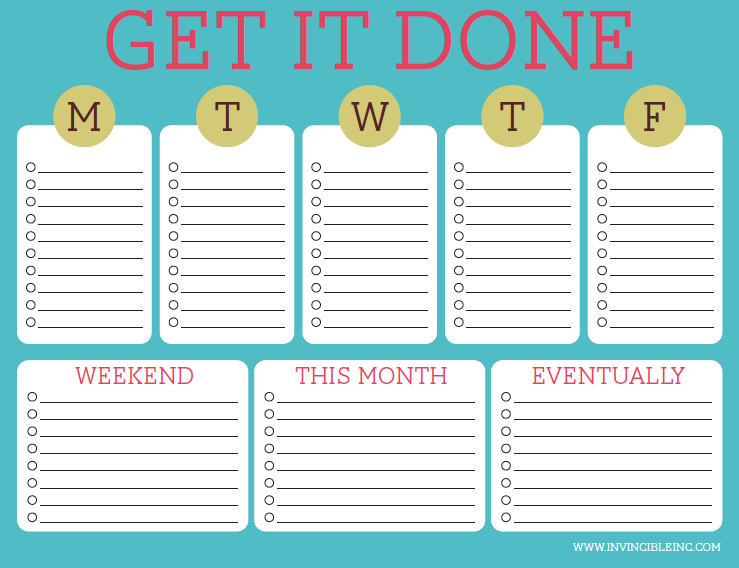 Another important habit to develop while writing an action item is to include the time frame (due date) so that you can distinguish between what needs to be done now versus what needs to be done a week from now. Instead of just writing sales report, you must write send the sales report by next week. Most habits that are worth developing takes a ton of practice and formulating a good action item is no different. Getting things done is a lot easier when you have habits like this since it’s one less thing to think about and make decisions on.